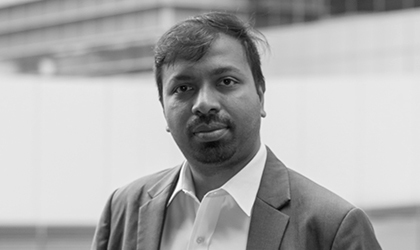 Nishan brings more than 15 years of consulting and industry experience that has seen him adapt well in different cultures from various countries, which includes ASEAN, India, Australia, Oman, UAE, Tanzania, United States, Netherlands, Finland, Russia, Ireland and United Kingdom. Nishan leads the Programme Management Team (PMT) in PEMANDU Associates. In his role, Nishan provides strategic direction internally for the firm and strategic and implementation advisory for clients from the public and private sector. This role also allows Nishan to work vertically across all the sectors under the Malaysia National Transformation Programme, Tanzania BRN Programme and Oman Tanfeedh Programme. Nishan has worked on numerous business turn around projects and policy based projects across many industries including Criminology, Transportation and Logistics, Agriculture, Tourism, Power, Education and Manufacturing. Nishan is the co-founder and Chairman of the Global Transformation Forum (GTF), which is the world’s singular platform for influential, global leaders to engage and share experiences and best practices on how to drive transformation. Under his leadership, GTF has seen the attendance of over 3,000 delegates from 76 countries, including corporate leaders, business owners, political leaders and industry experts and global thought leaders and icons such as Jack Ma, Sir Richard Branson, Helen Clark and Usain Bolt.